A nine-person panel denied Clay Shrout parole Monday. 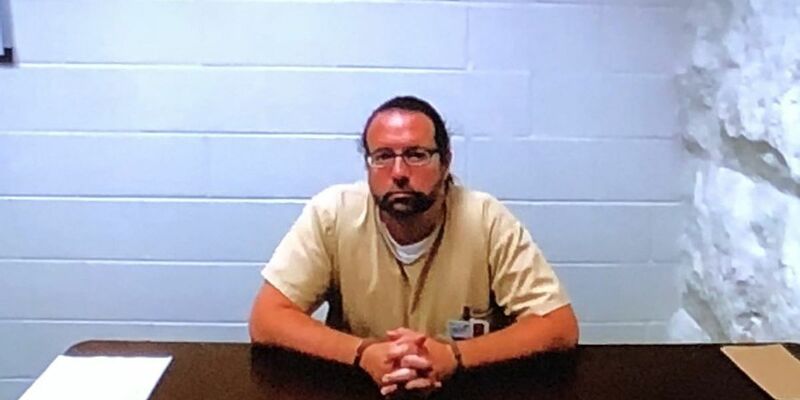 He was convicted of shooting and killing his mother, father and two younger sisters before taking the gun to school and holding his Ryle High School trigonometry class hostage in 1994. CINCINNATI, OH (FOX19) - A nine-person panel denied parole Monday morning for a northern Kentucky man serving a life sentence in prison for killing his family and holding his class hostage. He’ll serve 120 months before being eligible to meet the board again, according to a spokesperson for the Kentucky Department of Corrections. This comes after a two-person panel could not agree on a decision Wednesday. Clay Shrout shot and killed his parents and two younger sisters in their northern Kentucky home in 1994. He then went to his Ryle High School trigonometry class and held the students hostage at gunpoint. In 1995, Shrout was sentenced to life in prison without the possibility of parole for 25 years. The two-person panel heavily questioned Shrout Wednesday where he claimed at the time of the killing he was using drugs and had been sexually abused by his mother. He said he began using drugs a year or so before the killings and claimed he and his dad got into a yelling match the day before he murdered his family. Shrout said he took his dad’s gun out of his car, and when he woke up the next morning he used it to kill his family. He said he held his class hostage hoping to have police kill him after what he’d done at his house. When asked by parole members why he killed his two sisters, Shrout said he felt like they wouldn’t want to live after what he had done. Shrout says his mother had sexually abused him at a young age. He said it began when he was an infant when she would give him baths. He admits he never told anyone about the alleged abuse, except for a few church members years later. Shrout told parole officers he dealt with most of it internally. He claims his father knew about the alleged abuse but did nothing about it. Since the killings, Shrout says he has written letters to some of his family members and a vice principal at Ryle High. Shrout said he wanted to get involved in a church and attend an inmate program, possibly find a job repairing cars if granted parole. He must serve 120 months before being eligible to meet the board again.